The staff was very friendly and helpful I lov the fact they have aircon and privet bathroom. If I go back to Rome will definitely stay there again. Nice hostel. I’d go back here again. 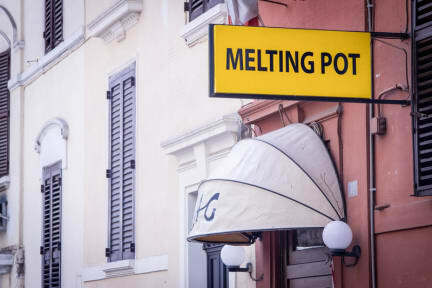 Melting pot rome has a cool atmosphere and great location - walking distance to the Colosseum, and to the Manzoni subway station (which is 2 stops from Rome Termini). Also, Daniele is the coolest receptionist ever. He really goes out of his way to help you with everything you need. My only complaint is re: the facilities. The bathroom smelled funky and our shower head broke off the 2nd day and never got replaced. Also wish there were lockers. It is more of a small house than a huge hostel. Very clean, proximity to public transport and walking distance from city center. Doesn't have space/ atmosphere to interact with other people. Fully fnctional kitchen and staff is very helpful. One issue is that the bathroom is very dingy and has a strange smell (maybe disinfectant). Very close to the Rome Termini so good for anyone doing interrail. We were lucky with our room mates as we could trust them enough to be less careful with our possessions which is always a plus as it makes you feel safer. Also the staff watched over our bags while we went around Rome in the day. 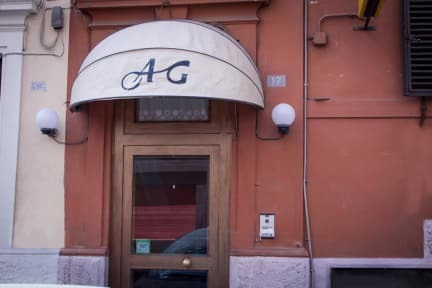 Furthermore, it is close to much of Rome’s historic sights just a quick walk down to the coliseum and if walking isn’t for you it’s close to buses, trams and metros! Finally, it is in a safe area. Localizado próxima a estação de trem, porém, numa região suja e muito barulhenta da cidade, e com muitos moradores de rua. Aos arredores não pareceu ser seguro para andar a noite devido a bagunça nas ruas. O ar condicionado fazia mais barulho do que a rua, então dormimos com a janela aberta. A mangueira do chuveiro estava toda remendada e foi difícil usá-lo. A limpeza estava boa. A cozinha organizada, porém, com poucos utensílios. O Wi-Fi é muito bom. E fomos bem atendidos em todos os momentos. Filthy bathrooms, sketchy location, staff is middling at best. Would not return. No locker, only 1 charging port, main entrance was always unlocked, no soap, and not the best neighborhood. Definitly not worth the money paid. It was an employee's birthday so the hostel was loud and wild until at least 3 AM. Was happy to leave.